Our area just came through a major hurricane. It turned out, the model of phone you have is not that important. Service provider is extremely important. In the US, we still have both GSM and CDMA networks. For whatever reason, post-storm the GSM providers are mostly working, and the CDMA providers are crap. I understand the network is different in Europe, so that probably doesn’t apply to you. Just putting it out there. Also, I’d like to confirm your earlier observation/conjecture that in a crisis, diesel vehicles are better. 24 hours before the storm, all area gas stations were out of regular gas. But some of them still had diesel. Hello Cord, thanks for your reply. Great point, thanks for bringing it up. There’s no point in having the best phone if your provider isn’t reliable. It is crucial to check and hire with the most reputable, most reliable service provider. It’s a good idea to ask around in your local area, wherever it is that you are, so as to get advice regarding this. Good point on diesel too. Indeed, when there’s no gas, usually you can still find diesel. Depending on the diesel vehicle you can even get a bit creative as of what you feed it, especially older diesel vehicles. Diesel also stores far better, it is less dangerous and more stable for long term storage. Also, diesel gives you more torque, sometimes significantly more than their gas counterparts. I was caught going uphill during some hard rain on the side of a hill some time ago. Water was flowing down, the street turning into a downhill river. The diesel Honda CRV truck along. Water would splash over the hood and for a minute I thought I was in serious trouble but the CR-V got me home. 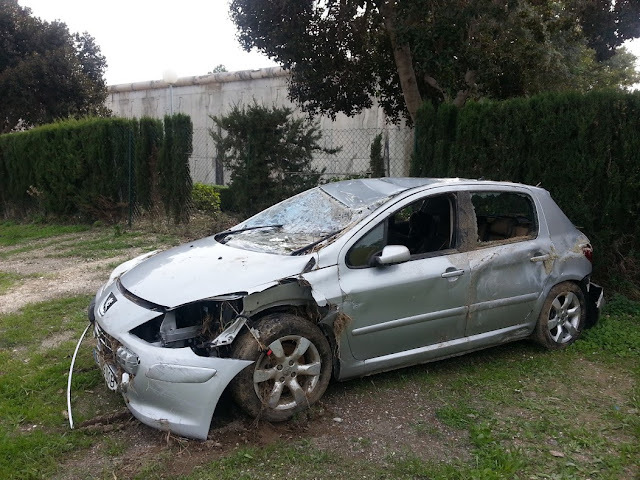 A few days later I found the car of a neighbour that wasn’t as lucky, pic of his car can be seen above.